Even though LinkedIn Marketing has been around for a while, it is surprisingly still not adopted by the majority of businesses. Most people still think of LinkedIn as that boring social network where you can have an online resumé and look for a job. And even though job search is a big part of the platform, it’s not even close to being the whole story. This means there is tremendous untapped potential in what comes to B2B marketing on this platform, and now is the perfect time for you to take advantage of it! The platform now houses more than 550 million users and, according to studies, 4 out of 5 members drive business decisions, making it the number one platform for lead generation on the planet. LinkedIn marketing is simple, yet just like with everything else, it requires hard work and patience. So say you own/work for a B2B company and are looking to find new customers on LinkedIn, how do you go about it? Your profile is basically your first impression, so dedicate as much time and energy as you have to in order to make a great first impression! Your LinkedIn profile name can help you rank in Google! The trick is to not just write your name but to also include a keyword phrase that reflects your area of expertise / what you specialize in helping other businesses with. Here’s a great example of a fully optimized name that is simple, professional, straight to the point. And that also ranks in the first page of Google! Look confidently straight into the lens. Don’t look away. Make sure your clothing is appropriate for your specific business setting, while also shining your personality (a marketer at a tech startup might wear a t-shirt while a manager at a more conservative consulting firm might want to wear business attire). Introduce yourself personally. People want to do business with other people, not robots. End with a thank you, an invitation to connect, and a call to action to check out one of your articles, download a checklist, take a quiz, etc. Here’s an example:“Thank you for reading my summary, feel free to connect! Include all relevant education. Also describe it briefly. As you write, always remember to focus on your goal. What is the conversion you want to get from your profile? In this case, it’s to get prospects interested and eventually acquire new customers and grow your B2B business. Always keep that in mind. Want other lead generation strategies? You’re using LinkedIn for business, you want to make as good an impression as possible, so please don’t skip anything. It will take some time, but it will pay off. Alright, your personal profile is looking stellar. Now what? Having an optimized profile is absolutely essential, but don’t forget to also have a good-looking, well-written Company Page that represents your business in the best way possible. A lot of people skip this part and either don’t create a company page or don’t take the time do it well. That gives out a bad image of your business so don’t be one of these people. Head to business.linkedin.com and create one right now! Also, don’t forget to make sure all your team members to follow the same process in what comes to developing their profile and list themselves as part of the company. This helps with page authority. 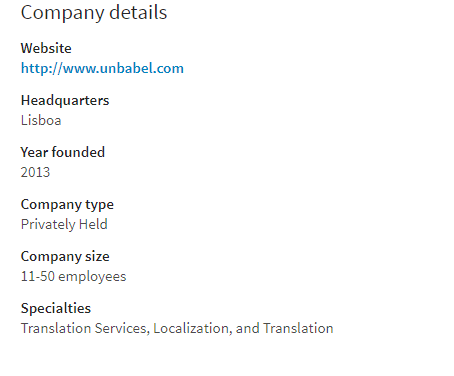 The main goal of the company page is to keep the good impression you created with your profile. The better people’s perception is, the more likely they are to engage with you and become your customers. 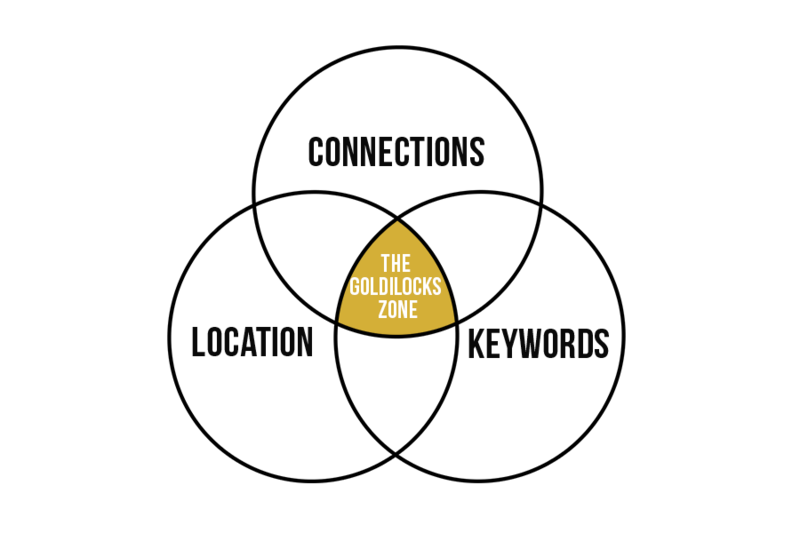 So your profile is fully optimized and your company page is looking great. What’s the next step? With LinkedIn’s high-quality search engine, it is now easier than ever to search for and start building relationships with qualified prospects. The secret is to get familiar with, and ultimately master filters. The goal is to build a number of different filter lists that show results representative of your target audience. – When you’re looking for new prospects, use the 3rd+ option. Logically you will find people you don’t know and never met before – I will guide you through how to engage these in a bit! – Where is your target customer located? Here’s an example of how a Marketing Agency team member might filter his search when looking for CEOs of Real Estate Companies in the Dallas Metropolitan Area. Note: This is all using the free version of LinkedIn. 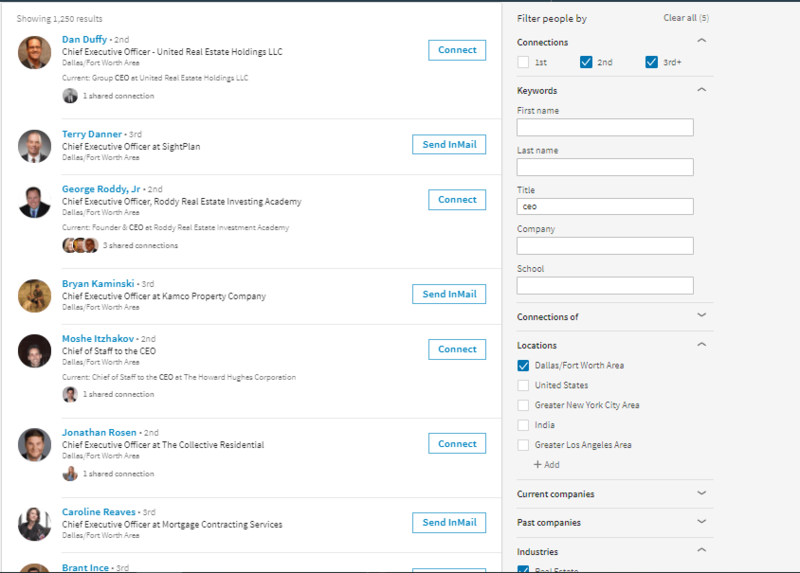 LinkedIn offers a Sales Navigator Premium search engine if you are interested in even more in-depth search. Now that you have your target audience right in front of your eyes, the next logical step is to get in touch with these people and start building relationships. But LinkedIn doesn’t just let you message anyone you want. So how do you do this? Invite them to become a part of your network, LinkedIn allows you to send unlimited messages to 1st level connections. 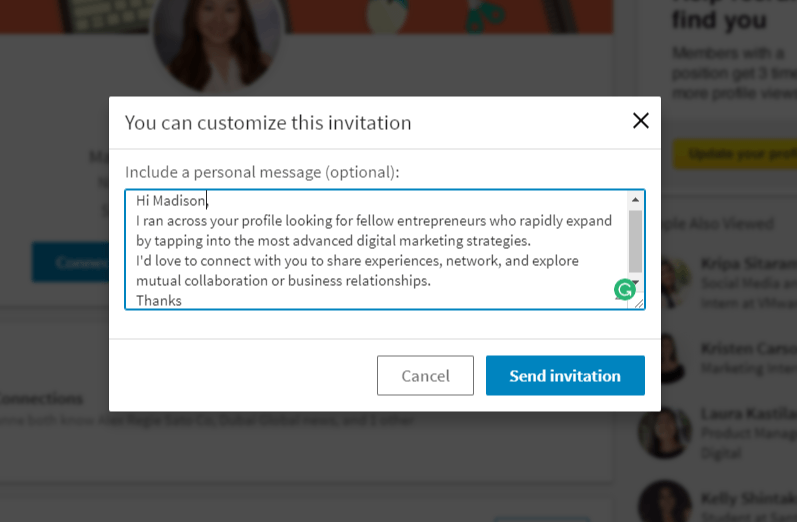 This is really exciting, but the tricky part of this Linkedin marketing strategy for B2B is getting people to accept your connection invite. So how do you increase your connection acceptance rate? By developing a connection invite note that resonates with prospects and compels them to accept your invite. Note: When you click “Connect” there will be a prompt with 2 options: “Add a note” or “Send now”. Make sure you always add a note! Your note can only have 300 characters at max, so make the most of it! After your note script is crafted, get to work and send out connection invites to all the prospects you can find. Let’s say your prospects received your invite and a good percentage of them accepted it. Time to follow up and start building the relationship! Follow up with a thank you note and offer her value straight away. Do not try to sell yet. Thank you so much for adding me to your network! This way you’re providing her with a way to get what she wants (increased leads) without asking for anything in return. This shows the prospect that you’re both a good person and qualified to help them on that specific subject. Once you get a reply from that with a thank you, then you can start offering your services and start a business relationship, while always keeping in mind to give more than what you ask for. Once you get a reply from that with a thank you should seek to keep offering as much free value as you can, and only after you’ve given a lot without asking for anything in return will you try to take the conversation to a phone call and see how you can form a mutually beneficial business relationship. How do you make sure you don’t get overwhelmed, stay focused and organized, and maximize conversion rate from lead into a customer? That’s where step 4 comes in. This is the step that most people skip. And that is why most people fail to convert leads into customers. Think of it as separating people into different buckets with different characteristics. If you don’t build and segment your list you will get lost in the chaos of so many prospects and end up losing tons of businesses, so do yourself a favour, get a good segmenting tool, and start building and organizing your list. 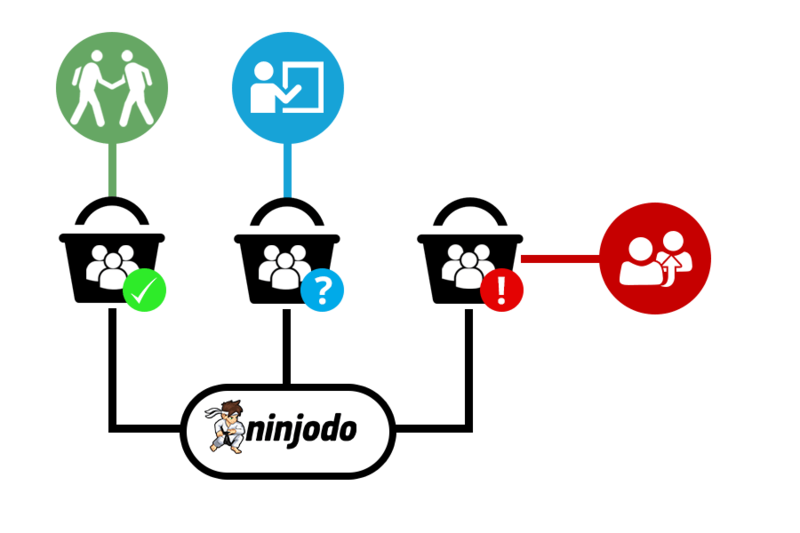 Ninjodo allows you to build your list and segment it into separate groups based on any criteria, with a friendly, easy-to-use interface. “Buyer”, “Non-buyer”, “USA”, “Europe”, etc. Get creative! Develop the tags that best suit your business. Now that your list is fully segmented, it’s time to optimize effectiveness and increase conversions by setting up automated workflows. The goal it to speed up the sales process and convert leads into buyers a lot faster than if you were to do everything manually. Sometimes it’s not about working hard, it’s about working smart. 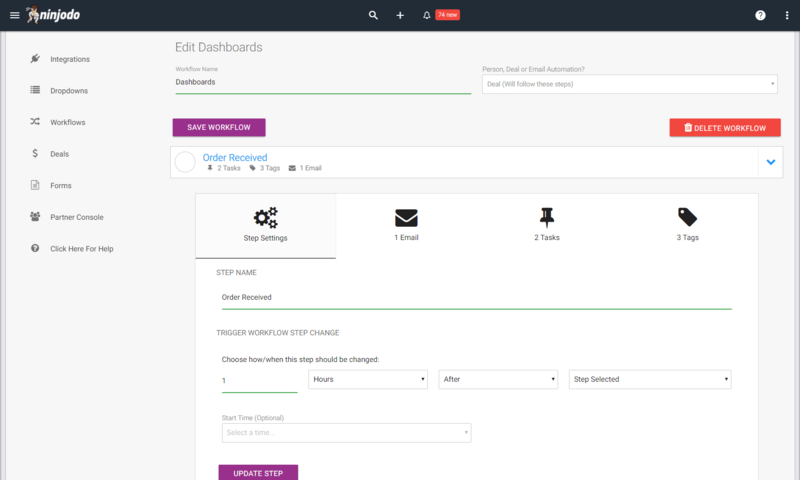 Ninjodo’s newest feature allows you to set up automated workflows that let your business fly on autopilot, saving you countless time and work. Tedious tasks such as sending emails, tagging and untagging people, and moving through the different stages of the funnel can now be created and automated in a particular workflow that runs while your sleep! And so on. You get the idea. Every little task that takes up a lot of your time can be automated! There is no reason why you shouldn’t’ do it. 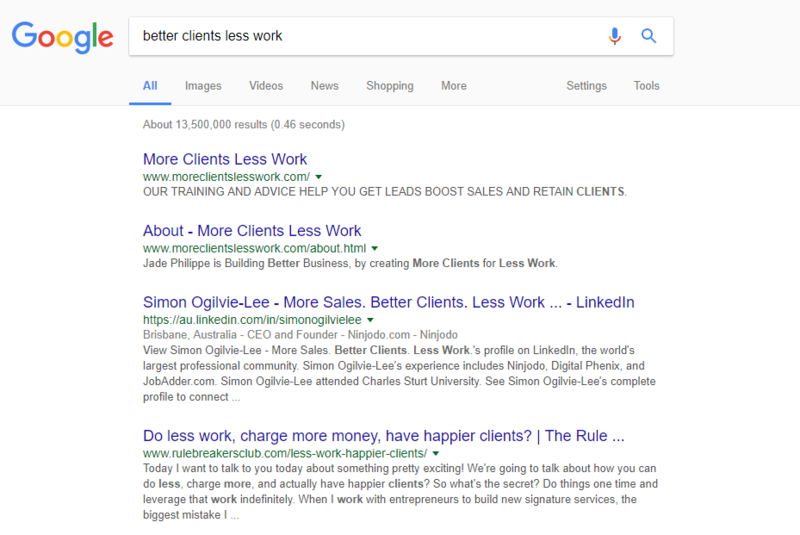 This process doesn’t just work for linked leads, you can use this exact same process for leads from your website, other social channels and even walking in leads from referrals partners. 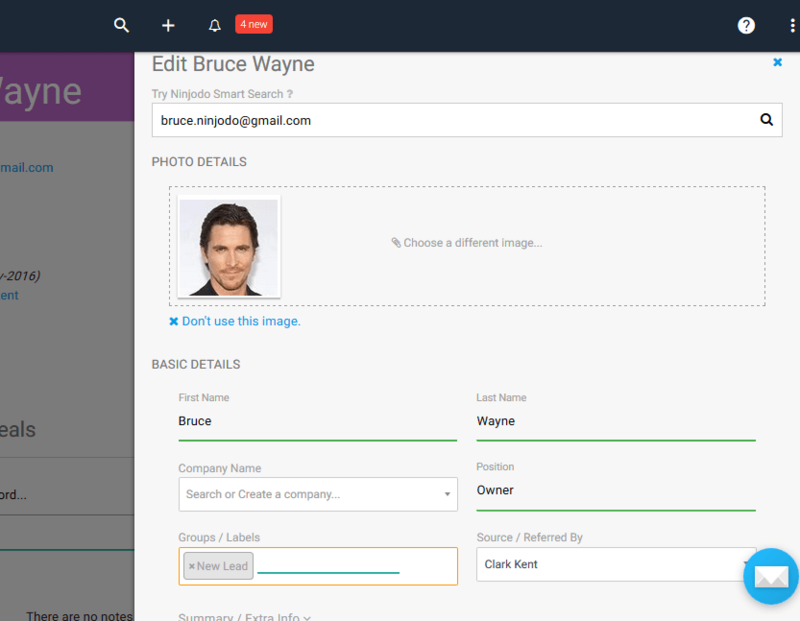 If you like the idea of your business having workflows like this, running on autopilot, then you can start setting up the above workflow in Ninjodo here for free. Once you reach this point, you’ll have established a solid, B2B lead acquisition funnel using LinkedIn as your source of leads. This is a massive step towards setting your business up for solid growth and predictable cashflow. Next think step is to start thinking about what other lead generation strategies like this you can set up, so you have not one established lead funnel, but three, or five or ten. Imagine having five to ten, established, systemised, automated funnels bringing you segmented, nurtured and qualified leads every month. If that idea sounds like the sort of business you’d like to have, then you need to claim our lead generation bundle that is composed of a set of extra lead generation strategies and tactics to add to the one you just learned!